Darren Lee Hitt, Kevin R. Gagne, Michael Ryan McDevitt . Aerospace, , 5, 2018. This study focused on the development of a chemical micropropulsion system suitable for primary propulsion and/or attitude control for a nanosatellite. Due to the limitations and expense of current micropropulsion technologies, few nanosatellites with propulsion have been launched to date; however, the availability of such a propulsion system would allow for new nanosatellite mission concepts, such as deep space exploration, maneuvering in low gravity environments and formation flying. This work describes the design of “dual mode” monopropellant/bipropellant microthruster prototype that employs a novel homogeneous catalysis scheme. Results from prototype testing are reported that validate the concept. The micropropulsion system is designed to be fabricated using a combination of additively-manufactured and commercial off the shelf (COTS) parts along with non-toxic fuels, thus making it a low-cost and environmentally-friendly option for future nanosatellite missions. Darren Lee Hitt, William F. Louisos. 2018 Space Flight Mechanics Meeting, , AIAA SciTech Forum, 2018. Darren Lee Hitt. 2018 AIAA/ASCE/AHS/ASC Structures, Structural Dynamics, and Materials Conference, , AIAA SciTech Forum, 2018. Darren Lee Hitt. Aerospace, , 4, 2017. In this paper, we use differential evolution (DE), with best-evolved results refined using a Nelder–Mead optimization, to solve boundary-value complex problems in orbital mechanics relevant to low Earth orbits (LEO). A class of Lambert-type problems is examined to evaluate the performance of this evolutionary method in its application to solving nonlinear boundary value problems (BVP) arising in mission planning. In this method, we evolve impulsive initial velocity vectors giving rise to intercept trajectories that take a spacecraft from given initial position in space to specified target position. The positional error of the final position is minimized subject to time-of-flight and/or energy (fuel) constraints. The method is first validated by demonstrating its ability to recover known analytical solutions obtainable with the assumption of Keplerian motion; the method is then applied to more complex non-Keplerian problems incorporating trajectory perturbations arising in low Earth orbit (LEO) due to the Earth’s oblateness and rarefied atmospheric drag. The viable trajectories obtained for these challenging problems demonstrate the ability of this computational approach to handle Lambert-type problems with arbitrary perturbations, such as those occurring in realistic mission trajectory design. Darren Lee Hitt. 27th AAS/AIAA Space Flight Mechanics Meeting, , , 2017. Visual coverage of surface elements of a small-body object requires multiple images to be taken that meet many requirements on their viewing angles, illumination angles, times of day, and combinations thereof. Designing trajectories capable of maximizing total possible coverage may not be useful since the image target sequence and the feasibility of said sequence given the rotation-rate limitations of the spacecraft are not taken into account. This work presents a means of optimizing, in a multi-objective manner, surface target sequences that account for such limitations. Stephanie Wood, Jason Pearl, Darren Lee Hitt. 27th AAS/AIAA Space Flight Mechanics Meeting, , , 2017. The ability to observe small celestial bodies has grown drastically over the last decade. The increase in interest for these bodies has increased demand for higher fidelity trajectory simulations in order to assure mission success. Most methods that are available for simulating trajectories about asymmetric bodies assume they are of uniform density. Here we propose a modification to two well-known methods: the mascon model and the spherical harmonic series approximation, for use in simulating trajectories about variable density bodies. In particular, we will look at contact binaries which are bodies consisting of two different densities. Jason Pearl, Darren Lee Hitt. 27th AAS/AIAA Space Flight Mechanics Meeting, , , 2017. A number of recent missions by space agencies to irregularly shaped asteroids have initiated an interest in accurately modeling the irregular gravitational field of these bodies. Two common methods for approximating these irregular gravity field are the polyhedral model and the mascon model. The polyhedral model employs Gauss's Divergence Theorem to calculate gravitational potential from a closed surface mesh. The mascon model uses a finite number of point-masses, distributed throughout the interior of the body, to approximate the gravitational field. In the present study, the accuracy and computational efficiency of the mascon model and polyhedral model are directly compared. The unit sphere is used as a test-case allowing the error of both methods to be calculated analytically. Both models are then applied to the real-world case of asteroid 25143 Itokawa. Results indicate that, for the same computational expenditure, the mascon model can provide the same level of accuracy as the polyhedral model at the surface of the body. Moreover, in general, away from the body the mascon model is more accurate and requires a shorter run-time. A number of recent and future missions to irregularly shaped asteroids have initiated an interest in accurately modeling the irregular gravitational potential field of these bodies. Close to highly irregular asteroids this is often accomplished using the polyhedral model. This method uses a small number of computational elements because only the surface is discretized; however, the number of computations required per element is large. As such, a simplification of the polyhedral potential model is proposed that approximates each face of the surface mesh as a surface-concentration. The simplified surface-concentration model and the full polyhedral model are compared using a sphere as test case so that the accuracy of both methods can be compared to an analytical solution. Both methods are then applied to surface meshes of Asteroid 24153 Itokawa to assess their abilities to model irregular bodies. For a given level of surface resolution, the surface-concentration model is found to be 30$\times$ faster than the polyhedral model with only a marginal reduction in accuracy. Moreover, for meshes requiring equivalent CPU-times the surface-concentration model is found to be over an order of magnitude more accurate. Michael Ryan McDevitt , Darren Lee Hitt. Advances in aircraft and spacecraft science, 21-35, 4, 2017. Hydrogen peroxide is being considered as a monopropellant in micropropulsion systems for the next generation of miniaturized satellites (`nanosats`) due to its high energy density, modest specific impulse and green characteristics. Efforts at the University of Vermont have focused on the development of a MEMS-based microthruster that uses a novel slug flow monopropellant injection scheme to generate thrust and impulse-bits commensurate with the intended micropropulsion application. The present study is a computational effort to investigate the initial decomposition of the monopropellant as it enters the catalytic chamber, and to compare the impact of the monopropellant injection scheme on decomposition performance. Two-dimensional numerical studies of the monopropellant in microchannel geometries have been developed and used to characterize the performance of the monopropellant before vaporization occurs. The results of these studies show that monopropellant in the lamellar flow regime, which lacks a non-diffusive mixing mechanism, does not decompose at a rate that is suitable for the microthruster dimensions. In contrast, monopropellant in the slug flow regime decomposes 57% faster than lamellar flow for a given length, indicating that the monopropellant injection scheme has potential benefits for the performance of the microthruster. Jason Pearl, William F. Louisos, Darren Lee Hitt. Journal of Spacecraft and Rockets, 287-298, 54, 2017. Micronozzles represent a unique flow regime defined by low Reynolds numbers (Re<1000) and supersonic Mach numbers. Currently, the classic method of calculating thrust is used by the micropropulsion community to determine nozzle performance from simulation data. This approach accounts for momentum flux and pressure imbalance at the nozzle exit, and it assumes that the viscous stress tensor’s contribution to thrust is negligible. This assumption, however, can break down at low Reynolds numbers, where viscous forces play a significant role in the flow dynamics. In this paper, an extended method of calculating thrust, which accounts for the force due to the viscous stress tensor, is derived from the Navier–Stokes equation. Computational fluid dynamic simulations are then used to assess and quantify the error produced by the classic method at low Reynolds numbers (80<800). Two micronozzle geometries are used as test cases: 1) an 80% truncated planar plug nozzle, and 2) a 30 deg linear-walled planar de Laval nozzle. Results indicate that the accuracy of the classic method begins to break down at Re≈1000, below which there is a significant risk that the classic method will produce erroneous results. Moreover, for Re<100, the classic method has the potential to misrepresent the thrust of a simulated micronozzle by 50%. Jason Pearl, Darren Lee Hitt. AIAA/AAS Astrodynamics Specialist Conference, At Long Beach CA, , , 2016. A number of recent missions by national space agencies (NASA, JAXA, and ESA) to irregularly shaped asteroids has initiated an interest in accurately modeling the irregular gravitational potential field of these bodies. In this study, we examine using non-uniform mascon distributions derived from unstructured volume meshes to model the gravitational potential fields of irregular bodies. The type and topology of the unstructured mesh and its effect on the accuracy of the mascon model is examined. Meshes consisting of either tetrahedral cells or higher-order polyhedral cells with varying degrees of cell-size grading are considered. A unit sphere is used as a test case to compare numerical calculated mascon-based potentials with analytical results. Mascon models are then applied to asteroid 25143 Itokawa. The grid-dependence of the potential field and a spacecraft trajectory are examined as well as the effects of a variable density distribution. Results suggests that with the right mesh type and topology a greater than 90% reduction in the require number of mascons can be achieved in comparison to uniform distributions without sacrificing accuracy. Michael Cross, Walter Varhue, Michael Ryan McDevitt , Darren Lee Hitt. Advances in Chemical Engineering and Science, 541-552, 6, 2016. The ability of some nanostructured materials to perform as effective heterogeneous catalysts is potentially hindered by the failure of the liquid reactant to effectively wet the solid catalyst surface. In this work, two different chemical reactions, each involving a change of phase from liquid to gas on a solid catalyst surface, are investigated. The first reaction is the catalyzed decomposition of a H2O2 monopropellant within a micro-chemical reactor chamber, decorated with RuO2 nanorods (NRs). The second reaction involves the electrolysis of dilute aqueous solutions of H2SO4 performed with the cathode electrode coated with different densities and sizes of RuO2 NRs. In the catalyzed H2O2 decomposition, the reaction rate is observed to decrease with increasing catalyst surface density because of a failure of the liquid to wet on the catalyst surface. In the electrolysis experiment, however, the reaction rate increased in proportion to the surface density of RuO2 NRs. In this case, the electrical bias applied to drive the electrolysis reaction also causes an electrostatic force of attraction between the fluid and the NR coated surface, and thus assures effective wetting. Darren Lee Hitt, Margaret (Maggie) Eppstein. AIAA Guidance, Navigation, and Control Conferenc, 1554, , 2015. Michael Ryan McDevitt , Darren Lee Hitt. Journal of Propulsion and Power, 1-10, 31, 2015. Gas and liquid converging at a microchannel cross junction results in the formation of periodic, dispersed microslugs. This microslug-formation phenomenon has been proposed as the basis for a fuel-injection system in a novel, discrete monopropellant microthruster design for use in next-generation miniaturized satellites. Experimental work by McCabe et al. (“A Micro-Scale Monopropellant Fuel Injection Scheme Using Two-Phase Slug Formation,” Journal of Propulsion and Power, Vol. 27, No. 6, 2012, pp. 1295–1302) demonstrated the ability to generate fuel slugs with characteristics commensurate with the intended application. In this work, numerical modeling and simulation is used to further study this problem and identify the sensitivity of the slug characteristics to key material properties including surface tension, contact angle, and fuel viscosity. These concerns are of practical concern for this application due to the potential for thermal variations and/or fluid contamination during typical operation. For each of these properties, highly stable regions exist where the slug characteristics are essentially insensitive to property variations. Next, a series of three-dimensional simulations were performed to study the effects of channel depth on the slug-formation process. These simulations show that the relative slug volume and the detachment location increase with channel depth. Over the range of depths studied, the relative slug volume increased by up to 20% and the detachment location increased by 10 channel widths. The results demonstrate the impact of three-dimensional effects on the ability of the system to throttle the fuel flow rate to a level necessary for low thrust applications, which will have ramifications on the design and manufacture of the microthruster system. Darren Lee Hitt, David Hinckley, Margaret (Maggie) Eppstein. AIAA SPACE 2014, , , 2014. In this paper we use Differential Evolution (DE), with best evolved results refined using a Nelder-Mead optimization, to solve complex problems in orbital mechanics relevant to low Earth orbits (LEO) and within the Earth-Moon system. A class of Lambert problems is examined to evaluate the performance and robustness of this evolutionary approach to orbit optimization. We evolve impulsive initial velocity vectors giving rise to intercept trajectories that take a spacecraft from given initial positions to specified target positions. We seek to minimize final positional error subject to time-of-flight and/or energy (fuel) constraints. We first validate that the method can recover known analytical solutions obtainable with the assumption of Keplerian motion. We then apply the method to more complex and realistic non-Keplerian problems incorporating trajectory perturbations arising in LEO due to the Earth's oblateness and rarefied atmospheric drag. Finally, a rendezvous trajectory from LEO to the L4 Lagrange point is computed. The viable trajectories obtained for these challenging problems suggest the robustness of our computational approach for real-world orbital trajectory design in LEO situations where no analytical solution exists. Karol Zieba, Darren Lee Hitt, Margaret (Maggie) Eppstein. Proceedings of the 2014 Annual Conference on Genetic and Evolutionary Computation, 1127-1134, , 2014. In this paper we use Differential Evolution (DE), with best evolved results refined using a Nelder-Mead optimization, to solve complex problems in orbital mechanics relevant to low Earth orbits (LEO). A class of so-called 'Lambert Problems' is examined. We evolve impulsive initial velocity vectors giving rise to intercept trajectories that take a spacecraft from given initial positions to specified target positions. We seek to minimize final positional error subject to time-of-flight and/or energy (fuel) constraints. We first validate that the method can recover known analytical solutions obtainable with the assumption of Keplerian motion. We then apply the method to more complex and realistic non-Keplerian problems incorporating trajectory perturbations arising in LEO due to the Earth's oblateness and rarefied atmospheric drag. The viable trajectories obtained for these difficult problems suggest the robustness of our computational approach for real-world orbital trajectory design in LEO situations where no analytical solution exists. William F. Louisos, Darren Lee Hitt. Journal of Spacecraft and Rockets, , 51, 2014. In this study, numerical computations are performed that examine the thrust production and efficiency of supersonic micronozzles with bell-shaped expanders. The bell geometry is favored on the macroscale for its flow alignment. To date, concerns over microfabrication challenges of the contoured geometry have limited its consideration for microscale applications. Three different bell expander configurations are examined (100% full bell, 80%, and 60%) for two-dimensional and three-dimensional duct configurations of varying depths (25-200 mu m), and a decomposed H2O2 monopropellant is used as the working fluid, and the associated throat Reynolds numbers range from 15 to 800. Owing to the inherently low Reynolds numbers on the microscale, substantial viscous subsonic layers develop on the walls of the nozzle expander, retard the bulk flow, and reduce the nozzle performance. The thrust production and specific impulse efficiency are computed for the various flow scenarios and nozzle geometries to delineate the impact of viscous forces on the nozzle performance. Results are also compared to the inviscid theory and to two-dimensional and three-dimensional results for 30deg linear nozzle configurations. It is found that the flow alignment of the bell nozzle comes at the expense of increased viscous losses, and, on the microscale, a 30deg linear nozzle offers a higher efficiency for Re<320 in two-dimensional micronozzles and over the majority of Reynolds numbers in three-dimensional simulations. The simulation results indicate that a short micronozzle outperforms a longer nozzle at a given Reynolds number, and this result is supported by existing micronozzle studies in the literature. Stephen Widdis, Kofi Asante, Darren Lee Hitt, Michael Cross, Walter Varhue, Michael Ryan McDevitt . IEEE/ASME Transactions on Mechatronics, 1250-1258, 18, 2013. The next generation of miniaturized satellites ('nanosats') feature dramatically reduced thrust and impulse requirements for purposes of spacecraft attitude control and maneuvering. The present study is a joint computational and experimental design effort at developing a new MEMS-based microreactor configuration for incorporation into a monopropellant micropropulsion system. Numerical models of the gas phase catalytic decomposition in microchannel configurations are used to obtain critical sizing requirements for the reactor design. The computational results show that the length scales necessary for complete decomposition are compatible with MEMS-based designs; however, it is also found that the catalytic process is dominated by mass diffusion characteristics within the flow at this scale. Experimentally, a microscale catalytic reactor prototype has been designed and microfabricated using MEMS techniques. The reactor uses self-assembled ruthenium oxide nanorods grown on the wall surfaces as a catalyst. Experimental testing indicates that only partial decomposition of the hydrogen peroxide is achieved. Among the potential sources of the incomplete decomposition, a likely cause appears to be the inability of the H2O2 reactant stream to adequately wet the surface of the catalyst film composed of a high surface density of RuO2 nanorods. Michael Ryan McDevitt , Darren Lee Hitt. 43rd AIAA Fluid Dynamics Conference, , , 2013. Laminar flow mixing remains an active area of research within the microfluidics community. Traditional mixing methods often rely upon turbulent flow, which is generally not present on the micro-scale and so alternative approaches must be sought. This work studies enhanced laminar mixing for use in a proposed monopropellant microthruster based upon homogeneous catalysis in a flow with Re < 10. The enhancement is realized through the introduction of an inert gas at a channel junction, which can lead to the formation of discrete liquid slugs. These slugs contain the monopropellant and the catalyst and have an internal recirculation that is found to enhance mixing. The focus of this study is on the numerical investigation of this process with the goal of minimizing the mixing length and characterizing the dependence of mixing on inlet conditions. The slug formation process is found to decrease the minimum mixing length by a factor of up to 7.2, with much of the benefit of the multiphase flow occurring shortly after slug formation. As minimizing the dimensions of the microthruster is a key design consideration, this reduction in mixing length demonstrates the value of the enhanced laminar mixing for the proposed micropropulsion application. Jason Pearl, William F. Louisos, Darren Lee Hitt. ASME 2014 International Mechanical Engineering Congress and Exposition, , , 2014. A parametric, two-dimensional, computational study examining steady-state plug micronozzle performance has been conducted. As part of the study, a new method for plug contour construction is proposed. The performance of several different nozzle geometries is compared to that of a traditional plug nozzle geometry designed using the Method of Characteristics (MOC). New nozzle designs are derived from the MOC based design and geometric transformations are used to produce plug nozzles of reduced length. Spike lengths corresponding to 60, 50, 40, and 27% of the MOC nozzle’s length are examined. The throat Reynolds number is varied from 80–820. Thrust is used a metric to assess nozzle performance. The geometry which maximizes performance is found to vary with Reynolds number. It is observed that reducing the plug length improves thrust production for the range of Reynolds number examined. Michael Ryan McDevitt , Darren Lee Hitt. 42nd AIAA Fluid Dynamics Conference and Exhibit, , , 2012. Abstract Converging flows of a gas and a liquid at a microchannel cross junction, under proper conditions, can result in the formation of periodic, dispersed microslugs. This microslug formation phenomena has been proposed as the basis for a fuel injection system in a novel, 'discrete' monopropellant microthruster designed for use in next-generation miniaturized satellites. An experimental study by McCabe et al.1 demonstrated the ability to generate fuel slugs with characteristics commensurate with the intended application during steadystate operation. In this work, numerical and experimental techniques are used to study the effect of valve actuation on slug characteristics, and the results are used to compare with equivalent steady-state slugs. Computational simulations of a valve with a 1 ms valveactuation cycle show that as the ratio of the response time of the valve to the fully open time is increased, transient effects can increase slug length by up to 17%. The simulations also demonstrate that the effect of the valve is largely independent of surface tension coefficient, which is the thermophysical parameter most responsible for slug formation characteristics. Flow visualization experiments performed using a miniature valve with a 20 ms response time showed less than a 1% change in the length of slugs formed during the actuation cycle. The results of this study indicate that impulse bit and thrust calculations can discount transient effects for slower valves, but as valve technology improves transient effects may become more significant. © 2012 by the American Institute of Aeronautics and Astronautics, Inc. All rights reserved. Gas and liquid converging at a microchannel cross junction results in the formation of periodic, dispersed microslugs. This microslug formation phenomena has been proposed as the basis for a fuel injection system in a novel, discrete monopropellant microthruster design for use in next-generation miniaturized satellites. Experimental work by McCabe et al.1 demonstrated the ability to generate fuel slugs with characteristics commensurate with the intended application. In this study, a computational model of the microchannel junction is used to investigate the effects of channel depth on the formation process and characteristics of fuel slugs. The simulations show the relative slug volume and detachment location increase with channel depth. Over the range of depths studied, the relative slug volume increased by up to 20% and the detachment location increased by 10 channel widths. These results demonstrate the impact of 3D effects on the ability of the system to throttle the fuel flow rate to a level necessary for low thrust applications, which will have ramifications on the design and manufacture of the microthruster system. © 2012 by the American Institute of Aeronautics and Astronautics, Inc. All rights reserved. Stephen Widdis, Darren Lee Hitt, Kofi Asante, Michael Ryan McDevitt , Walter Varhue, Michael Cross. 43rd AIAA Thermophysics Conference, , , 2012. Abstract The next generation of miniaturized satellites ('nanosats') feature dramatically reduced thrust and impulse requirements for purposes of spacecraft attitude control and maneuvering. 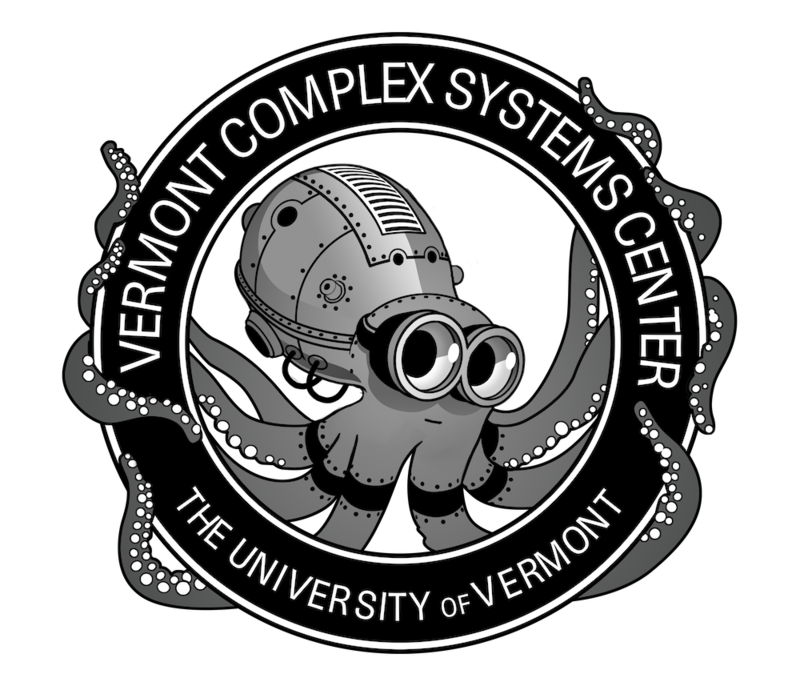 Efforts at the University of Vermont have concentrated on developing a chemical micropropulsion system based on a rocket grade hydrogen peroxide (HTP) monopropellant fuel. The present study is a joint computational and experimental design effort at developing a new MEMS-based micro-reactor configuration for incorporation into a monopropellant micropropulsion system. Two-dimensional numerical models of the gas phase catalytic decomposition in microchannel configurations have been developed and used to obtain critical sizing requirements for the reactor design. The computational results show that the length scales necessary for complete decomposition are compatible with MEMSbased designs; however, it is also found that the results are highly sensitive to the mass diffusion characteristics within the flow at this scale. Experimentally, a micro-scale catalytic reactor has been designed and microfabricated using MEMS techniques. The reactor uses self-assembled ruthenium oxide nanorods grown on the wall surfaces as a catalyst. It is found during experimental testing that only partial decomposition of the hydrogen peroxide occurs. The combination of multiphase and thermal quenching effects in a micro-scale geometry are identified as likely obstacles to the process. © 2012 by the American Institute of Aeronautics and Astronautics, Inc. All rights reserved. William F. Louisos, Darren Lee Hitt. Journal of Spacecraft and Rockets, 450-460, 49, 2012. A numerical model to characterize the influence of wall heat transfer on performance of a microelectromechanical systems (MEMS)-based supersonic nozzle is reported. Owing to the large surface-area-to-volume ratio and inherently low Reynolds numbers of a MEATS device, wall phenomena, such as viscous forces and heat transfer, play critical roles in shaping performance characteristics of the micronozzle. Viscous subsonic layers inhibit flow and can grow sufficiently large on the nozzle expander walls, potentially merging to cause the flow to be subsonic at the nozzle exit, and result in reduced efficiency and performance. Heat flux from the flow into the surrounding substrate can mitigate subsonic layer growth and improve overall thrust production. In this study, subsonic layer growth is quantified to characterize the impact on performance of micronozzles with a flowfield that is subject to wall heat transfer. Both two- and three-dimensional (3-D) simulations are performed for varying expander half-angles (15 deg, 30 deg, and 45 deg) and varying throat Reynolds numbers (30-800), whereas the depth of the 3-D nozzle is varied (25-300 mu m). Simulation results and nozzle efficiencies are compared with inviscid theory, previous adiabatic results, and existing numerical and experimental data. It is found that heat loss to the substrate will further accelerate the supersonic core flow via Rayleigh flow theory and can reduce subsonic layer growth. These effects can combine to alter the micronozzle expansion angle, which maximizes thrust production and specific impulse efficiency. Matthew McGarry, James Kohl, Darren Lee Hitt. Engineering Applications of Computational Fluid Mechanics, 595-604, 5, 2011. The liquid droplet growth from a punctured, pressurized vessel immersed in a quiescent medium is studied under steady flow conditions. Local strain rates at the puncture site are also investigated. The droplet growth and local strain rates at the puncture are characterized as functions of various hydrodynamic and geometric conditions. Dimensional analysis shows that the fractional droplet growth rate, Q*, is a function of the Reynolds number, Weber number, hole-to-main tube diameter ratio, D*, and the puncture geometry. A 3-D finite volume computational model is constructed for laminar flow of a Newtonian fluid under steady conditions and validated with supporting experiments. The results show that the fractional growth rate Q* increases with the Weber number and is largest for the lowest Reynolds number of one. In addition, the droplet shape is spherical at low Weber numbers (2.6) and ellipsodial at high Weber numbers (7.8). Additional simulations detail how the growth ratio is lower for small diameter ratios and rectangular punctures. Physiological implications for the hemostatic response (clotting) of a punctured blood vessel can be found by examining the local strain rates in the vicinity of the puncture. The strain rate displays the largest values for the highest Reynolds number (100). In addition, when D* = 0.04 the strain rate is greater at the low (2.6) and high (7.8) Weber numbers, while the strain rate is larger for D* = 0.075 when the Weber number is 5.2. The strain rate is also affected by the puncture shape and displays higher values for the rectangular puncture when Weber < 5.2. Finally, the impact of microgravity on droplet formation was studied. Numerical simulations and quantification of the forces on fluid particles show that there is no effect from gravity on the droplet growth rate or strain rate in medium and large sized veins. J. W. McCabe, Darren Lee Hitt, Michael Ryan McDevitt . Journal of Propulsion and Power, 1295-1302, 27, 2011. The periodic formation of dispersed microscopic liquid slugs (microslugs) at a microchannel junction is investigated as a means for enhancing precision and control of fuel delivery in monopropellant-based micro-propulsion systems. Slug length and frequency of production are determined by digital image analysis of high-speed videomicroscopy recordings of the formation process in a microchannel (hydraulic diameter similar to 28 mu) under varying inlet pressure conditions. Experimental findings show that a range of slug characteristics are possible, with sizes spanning 0.05-1.7 mm at corresponding formation frequencies of 39-397 Hz. For a hydrogen-peroxide monopropellant fuel, it is estimated that the associated impulse bit of a single microslug can range from 0.2-3 mu N . s, which demonstrates the potential utility for micropropulsion applications. An Experimental Investigation of a Bound Vortex Surface Impingement Method for the Removal of Adhered Dust Particles. Nicholas Vachon, Darren Lee Hitt. 41st AIAA Fluid Dynamics Conference and Exhibit, , , 2011. Dust mitigation is an integral issue faced by many manufacturing and aerospace activities. This problem is particularly challenging in Lunar and Martian environments which produce electrically charged particles that easily adhere to exposed surfaces. This work experimentally investigates the operation of the computational design reported by Vachon and Hitt in a recent numerical study.6The effectiveness of vortex-induced flow conditions is evaluated using a combination of high speed flow visualization and particle image velocimetry techniques. In addition, a convective cooling method is used to provide a visualization of surface shear stress. Current experimental results are compared to previous computational results in order to confirm the existence of a bond vortex flow condition. Experimental evaluation of particle removal behavior and bound vortex formation are found to be in good agreement with numerical predictions. © 2011 by the American Institute of Aeronautics and Astronautics, Inc. All rights reserved. Analysis of Transient Flow in Supersonic Micronozzles. William F. Louisos, Darren Lee Hitt. Journal of Spacecraft and Rockets, 303-311, 48, 2011. A numerical investigation of transient supersonic flow through a two-dimensional linear micronozzle has been performed. The baseline model for the study is derived from the NASA Goddard Space Flight Center microelectromechanical-systems-based hydrogen peroxide prototype microthruster. A hyperbolic-tangent actuation profile is used to simulate the opening and closing of a microvalve with a maximum inlet stagnation pressure of 250 kPa, which generates a maximum throat Reynolds number of Re ̃ 800. The complete duty cycle occurs over 1.7 ms. Numerical simulations have been conducted for expander half-angles of 10-50°, and both slip and no-slip wall boundary conditions have been examined. The propulsion scheme employs 85%-pure hydrogen peroxide as the monopropellant fuel. Simulation results have been analyzed, and thrust production as a function of time has been quantified, along with the total impulse delivered. Micronozzle impulse efficiency has also been determined based on a theoretical maximum impulse achieved by a quasi-1-D inviscid flow responding instantaneously to the actuation profile. It is found that both the flow and thrust exhibit a response lag to the timevarying inlet pressure profile. Simulations indicate that a maximum efficiency and impulse occur for an expander half-angle of 30° for the no-slip wall boundaries, and the slip simulations demonstrate a maximum plateau in the range of 20-30°; these angles are significantly larger than with traditional conical nozzle designs. Copyright © 2010 by the American Institute of Aeronautics and Astronautics, Inc. Numerical Simulations of Heat and Fluid Flow in Grooved Channels With Curved Vanes. Matthew McGarry, Antonio Campo, Darren Lee Hitt. Numerical Heat Transfer Applications, 41-54, 1, 2010. The use of vanes in grooved channels for heat transfer enhancement has received unprecedented attention in recent years due to applications in high-performance heat exchangers and electronics cooling. The current work focuses on characterizing the vortex formation around heated elements in grooved channels with curved vanes. A computational model is developed to examine the effect that the vortices have on heat transfer and system performance for a range of Reynolds numbers of 100 to 800. These vortices explain the previously observed characteristics in system performance for geometries with the use of curved vanes. At a Reynolds number of 400 these vortices inhibit heat transfer and increase pressure drop in the channel resulting in significant decreases in system performance. In addition, a sensitivity analysis was performed for the size and location of the baffle at a high Reynolds number of 800.